This guest blog was written by Dr. Lora Melman. My journey for continual learning started in medical school and pushed me through my surgical training. It didn’t become fun for me, however, until I discovered the sport of HPDE (High-Performance Drivers Education). Many of the tenets of HPDE can be directly applied to surgical practice. In this article, I’d like to walk through some of those connections and how HPDE helps me in my daily quest to become better as a surgeon. HPDE, or High-Performance Drivers Education, is a driving sport that teaches awareness, car control, and how to approach “the limit”— the limit of what-physics will-allow-that-car-to-do-at-that-particular-part-of-the-racetrack-on-that-lap-on-that-day. The focus of HPDE is to learn your car, the racetrack, your personal limits, and to maintain the flow of traffic around the track. HPDE is an extreme sport that requires preparation, concentration, the ability to maintain calmness, and a level of skill to maintain the margin of safety. Novice drivers are required to have an instructor until they are judged safe enough to go out on their own. The most important thing I learned on my first day of driving school was to always look farther ahead than I thought I needed to, so that I would have time to appropriately modify my inputs. By the time something is right in front of you, it’s too late to react—by looking as far ahead as possible, you can still see everything immediately in front of you and also see the important reference points coming up so there is no lost input information. Anticipating and “looking” ahead is something we talk about in surgery all the time. From the initial “time-out”, to OR cards that detail to the room staff what to open and what to have available, to anticipating needs to minimize chaos in the room and staff turnovers during critical portions of the case – the list goes on. Seeing what may arise while progressing through the immediate steps of the case increases efficiency, reduces unnecessary delay under anesthesia for the patient, and leads to improvement in overall outcomes and productivity. Being out of surgical training for several years now has taught me the value of ongoing mentorship, especially in a field where techniques, materials, and technology changes so rapidly that within a few years, things can go from cutting edge to almost obsolete. In residency, my mental “bandwidth” was so fully occupied with learning surgical management and memorizing exactly how each attending did each procedure, that I didn’t pay attention to how my skills were changing and growing. Now that I am in practice, although I am eternally grateful for the excellent training background I received, there are days when I wish I could intraoperatively “Face-Time” one of my mentors to pick their brain about a no-way-to-predict-this-question-preop-haven’t-seen-this-before-what-they-would-do-now-in-this-particular patient-regarding-this-particular-issue question. After I graduated from novice HPDE group, I drove in Intermediate Solo (no instructor), and now am in Advanced Solo. There are many times I wish I still had an instructor in my right seat for immediate feedback for what I could have done differently. Sometimes I wonder what pearls I’m missing out on, yet 100% instruction at the upper levels of training is something that is just not realistic and/or achievable for the majority of participants in the sport, so we do our best, and try to set our own goals for improvement. Just as I am not done learning new things on the racetrack, I am continually learning new things as a surgeon. I am one that believes there is no such thing as “natural inborn” talent, but rather that talent is the result of the right combination of personal drive to be better, willingness to work hard and push through difficulty, and an accumulation of previous skill “programming”. Deliberate slow practice of the sub-components and the process of mindfulness in repetition builds the circuitry that allows a tennis champion to predict where the ball is going to be, a musician to sculpt their performance, a race car driver to achieve a successful overtake, and a master surgeon to see the proper plane(s). The ultimate challenge, then, is to develop the correct skill set for the intended goal with the best possible mentorship available, and to maintain an insight on your own progress. Dr. Melman is a board-certified minimally invasive and robotic surgeon with a private practice in Central New Jersey. 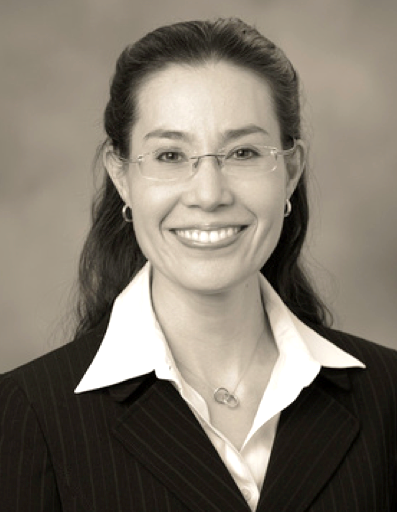 Her areas of expertise include Fast-Track Surgery/ERAS—the methodology of improving surgical outcomes and decreasing postoperative recovery times, repair of all types of abdominal wall hernias, sports hernias, and diaphragmatic hernias, treatment of reflux disease, and surgical weight loss for obesity. She is a widely published author of peer-reviewed literature on hernia mesh and biomaterials. She also has a special interest in studying safety, performance, and team dynamics based on principles used in the motorsports-racing world. Dr. Melman's series: "Surgical Lessons from the Racetrack", runs weekly during the summer season and explores the overlaps between the art of Surgery and the science of High Performance Driving.